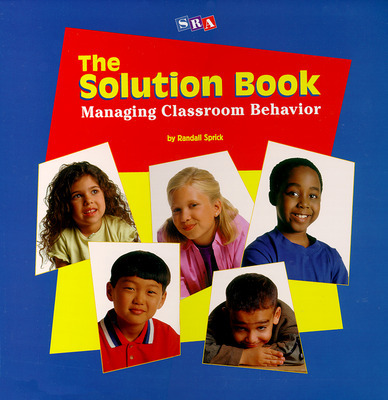 The Solution Book, a comprehensive, user-friendly resource, provides teachers with ready reference information on managing behavior and establishing a climate conducive to learning. This loose-leaf binder contains eight booklets that introduce practical classroom strategies and include implementation steps and flexible techniques to help make classrooms a friendly and effective learning environment. The Solution Book empowers any teacher to set up and maintain an effective management plan for their classroom. The loose leaf binder is full of flexible techniques for teaching expectations, preventing problems, providing age-appropriate positive feedback, and correcting misbehavior calmly and consistently. Eight booklets cover general topics such as Getting Started at the Beginning of the Year, Effective Reinforcement, Correcting Misbehavior, and Increasing Positive Interactions. Each of 100 Solution Sheets addresses a specific problem, such as fighting, talking out, or failing to complete work, and offers a specific solution.